Villa Manzoni houses the Museum Manzoni, the Municipal Art Gallery and the Library specialized museums Villa Manzoni, is a neoclassical building, dating from the seventeenth century, in which the residential portion is structured around a porch with columns in sandstone, stone used in construction since antiquity as easy to work and good-looking. The City Art Gallery exhibits works made by artists who have worked in the area of Lecco from the 16th to the 20th century. 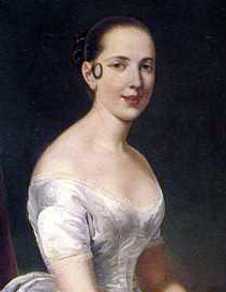 The collection includes 400 paintings and 2000 prints and engravings. 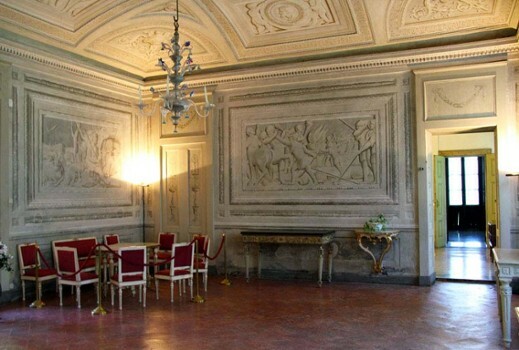 The Civic Art Gallery is located at Villa Manzoni in Lecco and hosts a selection of works belonging to the Civic Museums of Lecco and counts four hundreds paintings and two thousands engravings, divided chronologically in thematic rooms. 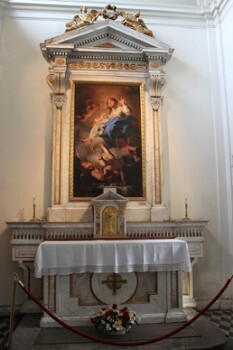 A very interesting feature is that each painting has its coeval frame. The works range from the Lombardy school of the 18th and 19th century to the still life of the 18th century, landscapes of 19th century, fine images of Lecco by Massimo Taparelli d’Azeglio (1798-1866), son-in-law of Alessandro Manzoni, Carlo Pizzi (1842-1909) and Giovanni Battista Todeschini (1857-1938). 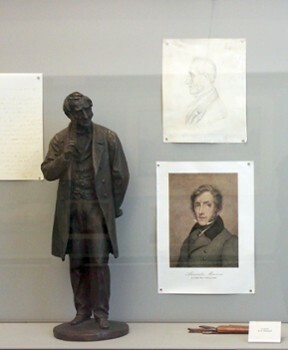 The rooms at the ground floor are the ones dedicated to the celebrated novelist, where relics and documents belonging to the writer can be found, along with furniture and objects of the time of his stay in Lecco. 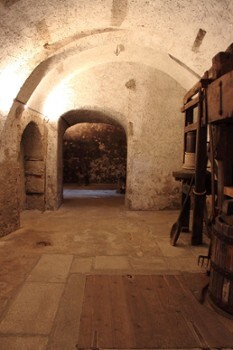 Accompanying the residential rooms is a chapel and the cellars. On the first floor there is the municipal art gallery, where are exhibited works from the sixteenth to the twentieth century artists Lecco or who have worked in the territory. 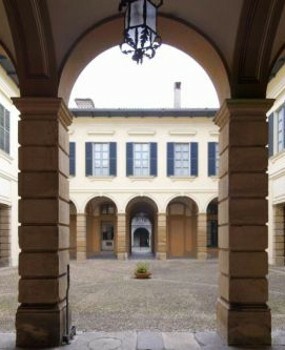 The exhibition center of Villa Manzoni hosts the Manzoni Museum, the City Art Gallery, the Archive (including the Fondo Manoscritti with precious manuscripts by Manzoni), the specialized library (20,000 volumes, including the Antique Fund and the Fund Manzoni) and photo library (with materials on the territory of Lecco. 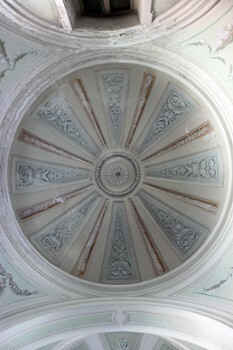 The museum had been the mansion of the Manzoni family for two centuries. It was sold by the writer in 1818 to the Scola’s, who maintained it unchanged until the 1960s, when it was given to the Municipality of Lecco. Alessandro Manzoni spent his childhood and adolescence in this house. Today the building hosts the Manzonian Museum, which exhibits in 10 rooms first editions, manuscripts and memorabilia of the life and works of Alessandro Manzoni. In the first floor rooms you can still see the original furnishings belonged to the writer. Villa Manzoni is open to the public from 9:30 to 17:30, closed on Monday. Closed on Mondays (except Easter Monday) and on main holidays (New Year’s Eve, Easter, 1st May, 15th August, Christmas and December 26th). Admission: € 5,00 single ticket – 3,00 € reduced ticket (up to 18 and over 65 and for groups of over 8 people) – free for the Guide of groups of more than 15 people – free admission for disabled people. From motorcycles to silk, bicycles to toy horses or mines to palaces, Lake Como's museums offer something for everyone. Nearby Things to Do include: Museums such as Villa Manzoni Civic Art Gallery and Palace of Fears; Water Activities such as Lido di Malgrate and Sail and Fun Malgrate; Hikes & Walks such as San Tommaso; Towns such as Malgrate and Valmadrera; Churches such as Santuario Nostra Signora della Vittoria and Santa Materno and Lucia; Parks & Gardens such as Fatebenefratelli Botanical Garden and Monte Barro Park.